Sussex have released batsman Chris Nash from the final year of his contract, ending his 26-year stay at the club. The 34-year-old, who joined Sussex at the age of eight, requested to be released from his deal at Hove. Cuckfield-born Nash made his first-class debut in 2002 and has scored over 11,000 first-class runs, winning six major trophies with the club. A Sussex statement thanked the right-hander for his "long and distinguished service" to the club. Nash was a member of the Sussex side which won the Championship title in 2006 and 2007, one-day trophies in 2006, 2008 and 2009, and the Twenty20 Cup in 2009. 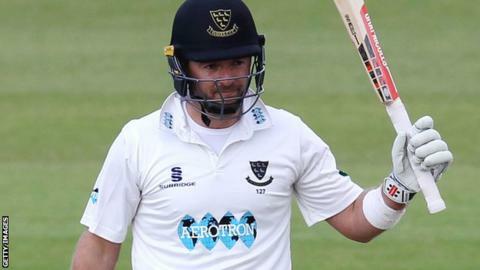 He scored 578 runs at an average of 27.52 in the County Championship last season, as Sussex finished fourth in Division Two. Sussex said Nash requested to be released from his contract as he wishes to "take his career in another direction".